Tenacious. That’s the word that best describes Emily, who has tackled a lifetime of medical challenges. When she was born, seemingly lifeless, doctors rushed to resuscitate her. But the time Emily went without oxygen caused permanent damage to her brain. She was diagnosed with cerebral palsy at just a year old. Initially, Emily’s parents received a grim prognosis. “Doctors told us to take her home and keep her comfortable, because she would never walk, talk or function,” says Emily’s mom. Instead, Emily’s parents found Gillette Children’s Specialty Healthcare and a specialist in pediatric rehabilitation medicine. “He told us to get Emily into therapy right away, because she had the potential to achieve all kinds of things,” recalls Emily’s mom. 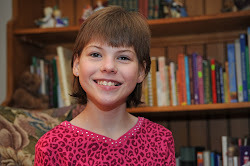 Thanks to that early intervention, Emily, now 11, has made significant progress. Treatments have enabled her to walk with the help of a walker and leg braces. Though cerebral palsy affects her speech, she communicates well. Despite her difficulty communicating, Emily rarely becomes frustrated and constantly pushes herself to achieve more. Her family knows Emily will never allow her disability to interfere with her many dreams and goals.